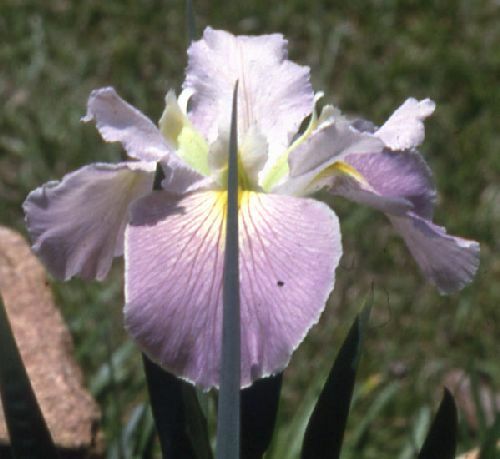 'Alouette' (Mary Dunn, R. 1990). Seedling L112-2. Height 32" (81 cm), Midseason to late bloom. . Standards alabaster pink with ivory buff cast; green style arms; Falls ruffled and serrated alabaster pink buff, large yellow signal. 'Handmaiden' X 'Monument'.